I decided to read this novel again because I devoured the book the first time and fell in love with the movie at first sight. Then a few days ago I was tempted to experience Jane Austen once again after making a collage themed on the book and movie (shown at the right), so here I am! With most books, re-reading just doesn’t work for me. I have a pretty good memory, so I always remember everything that happens, and there are never any surprises. 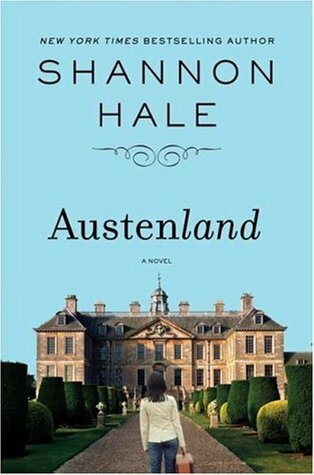 What I loved about my second experience with Austenland is that there actually were things I didn’t remember, and even the things I did remember were too swoon-worthy and Darcy-esque to not appreciate. I also liked being able to compare the movie and the book since everything from the film was still fresh in my memory. Whether it be the film or the book, there was never a moment I wasn’t full-on in love with Mr. Nobley. He was a real-life Mr. Darcy! Every personality one had, so did the other. The arrogance, the beauty, the mystery, the sadness, the snobbery! 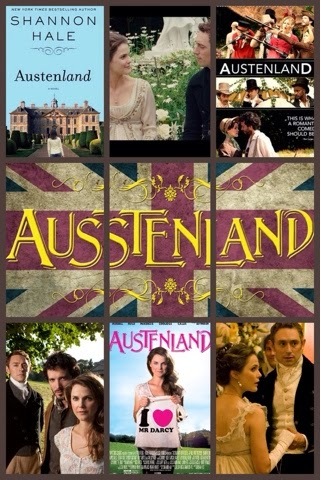 If I had a chance to go to Austenland – even with circumstances similar to Jane’s – I’d say yes without a hint of hesitation. I want my own Mr. Darcy! I did skip the first few pages of the book that discuss Jane before she goes to Austenland, but after that it was me and the book until the very end. There wasn’t a page – nay, a letter – that I skipped after that. I was so addicted that I stayed up until 4:30 in the morning to finish a book I’d already read. I hope that clarifies exactly how much I adore this novel. The first time I read it as a library book, the second time as an eBook; I think it’s about time I get a copy of this as my own. This beautiful, beautiful book is a must-read for all fans of Jane Austen, or even just ‘Pride & Prejudice’. All those listopias listing re-tellings of Austen? This one should be number one. And if you’re too lazy to read, please do me a favor and at least watch the movie. They’re both equally pleasurable, and I can promise that if you’re anything like me, it will quickly become one of your favorite films. I suppose that now I’ve read the book two times, it’s only fair that I watch the movie again. I better get to it then! ← Book Nerds Can Enjoy TV Time Too!